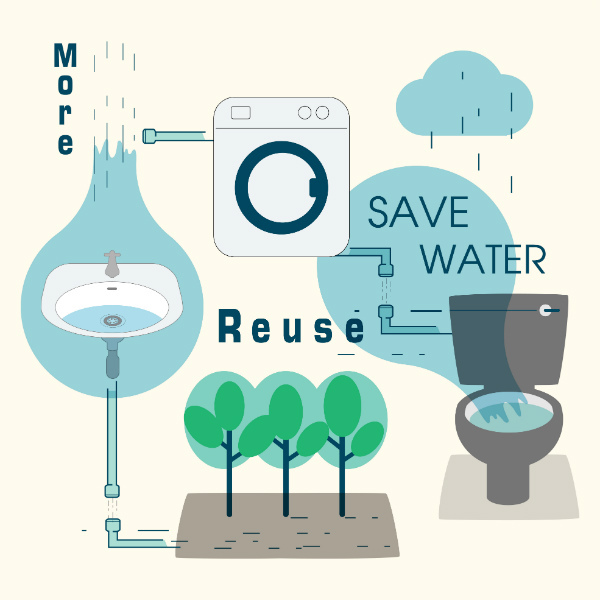 Greywater contains micro-organisms and other contaminants so it can only be reused for specific purposes. There are many benefits of greywater, the most obvious being that it reduces the need to use mains water on gardens and lawns, saving money and resources. Generally speaking, there are two types of greywater irrigation systems. Diversion Devices – these carry untreated greywater directly to your garden. If you go with this option you’ll need to have the irrigation buried at least 10 cm below the soil. Treatment Systems – as the name suggests, these systems treat the water to varying degrees depending on its end-use (washing machines and toilets for example). So, which option is best for you? If you have acreage or a large garden, a diverter system is the most economical option. However, if you are growing vegetables or only have a small garden, it might be more cost-effective to invest in a treatments system so you can use the waster in other areas. If you are looking for greywater irrigation installation in Shepparton, call your local irrigation specialist – Goulburn Valley Sprinklers & Landscaping. We can design and install all types of domestic and commercial irrigation systems, including greywater irrigation systems. Contact our friendly team for a free irrigation design consultation.